Panis – Life After F1, In A Peugeot? 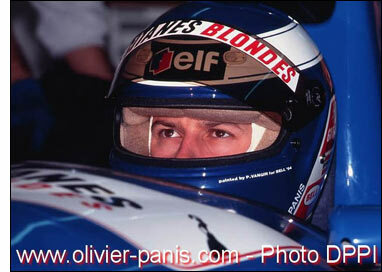 "I know that it is time for me to move on and fulfil my wish to race again," says Olivier Panis, of the news that he is leaving the Toyota F1 team, in his role as test driver alongside Ricardo Zonta. Klaus Ludwig’s former FIA GT partner is leaving Toyota too, heading for Renault, for more test driving. Speculation suggests that Panis will be come one of three French drivers in one of Peugeot’s Le Mans cars next year – with the rumour mill suggesting that the other Peugeot will be driven by three (non-French) Europeans, perhaps including an Englishman and a German. "I am looking forward to new racing challenges outside Formula One,” says the 40 year old Panis. In related news, Franck Montagny, who was very quick at Le Mans this year for Pescarolo, seems destined for a test driver role at Toyota.